Spring may be here, but you have to agree that it still feels like a wintery month even though trees are beginning to bloom again. Their is always one particular outerwear item that will never fail to make the greatest impression of your outfit no matter what season you're in. That would be the famous biker jacket. This jacket never disappoints me when it's chilly during the spring or summer time (it can get kind of cold where I'm living). I don't know what it is, but there is always something special about these jackets. I guess it may have to be with their design perspective - young, versatile, and masculine. As I always say, you don't have to spend thousands of dollars for one particular jacket. You know what you pay for is what you get for. This may be one particular item it may be worth investing in besides a great pair of shoes. After all, you have to agree a biker jacket will always be one of your best friends no matter what season or formality. 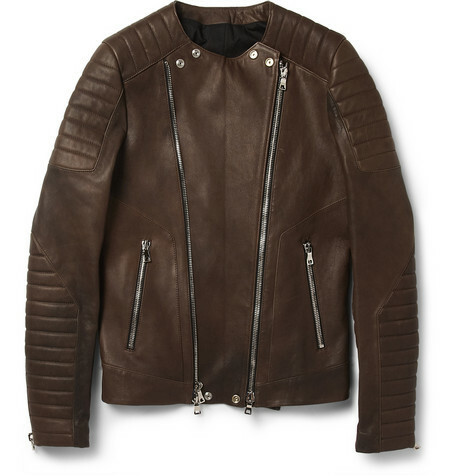 What brand biker jacket are you fond of?